Located in Gifford, Bahder Behavioral Services is central New Hampshire’s preeminent practice in treating adults suffering from opioid addiction, alcohol and benzodiazepine dependency, and other mental disorders, often as a portion of a dual diagnosis. Our practice continues to grow as residents of New Hampshire struggle with the opioid crisis. We are frequently in need of caring, highly-qualified mental health professionals. 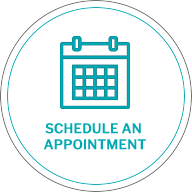 Bahder Behavioral Services provides patients with a variety of treatment options, including the prescribing of Suboxone and other medications, and individual and group therapy. We invite you to review current openings at BBS and submit a curriculum vitae and letter of interest.